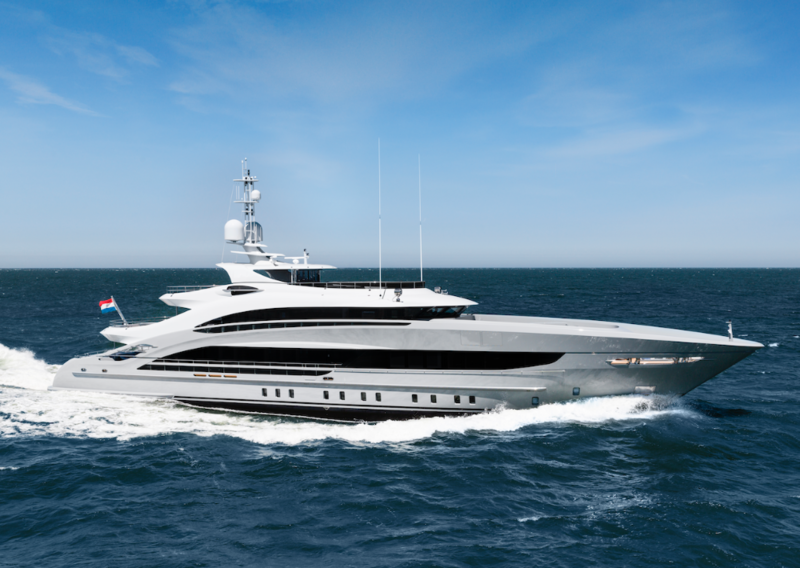 Dutch superyacht builder Heesen Yachts has announced that 50m M/Y Omaha has been delivered following a period of sea trials in the North Sea. Not only is this Heesen’s fourth vessel of the year, but M/Y Omaha, which has been designed by Clifford Denn, is the first superyacht in Heesen’s new 50m Steel Class, a successor of the 47m Steel Class series, which sits just below the 500gt threshold. Starting its journey as a speculative project under the name Maia, the 50m project was sold by Chris Collins of Ocean Independence, who represented the commercial interests of the owners during the construction process, alongside the owner’s representative Wayne Foulis. 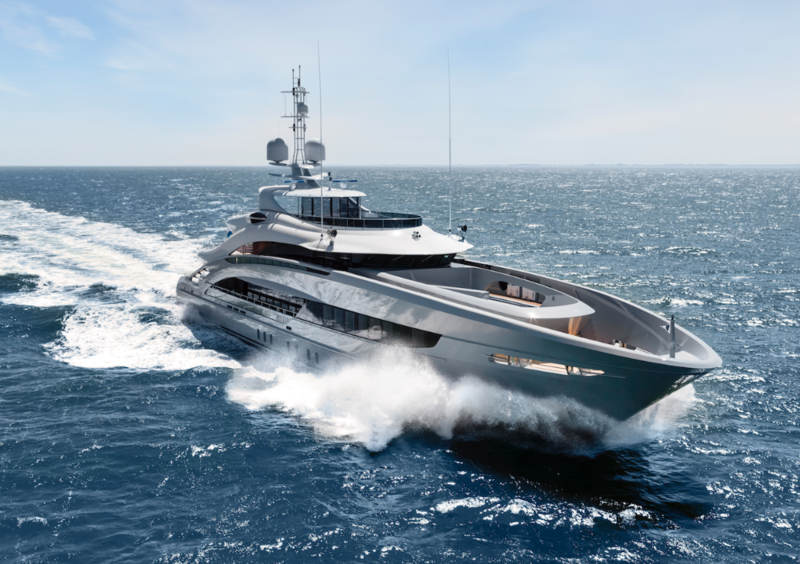 This new striking design by Clifford Denn has certainly mixed up the Heesen portfolio again with her a particularly curvaceous exterior and long, sweeping windows. Denn was reportedly inspired by classic car design to create a yacht which has a bold presence on the water. While this is considerably different from the rest of the Heesen fleet, it still possesses a number of typical Heesen design cues, such as the foredeck that curves down towards the bow, which is characteristic of the shipyard’s DNA. Heesen has now delivered four yachts in 2018 and plans to deliver one more before the end of the year. Furthermore, Heesen is on track to take the position of most active Dutch superyacht builder in 2018, by number of units sold, ahead of Amels and Feadship both of whom plan to deliver four vessels this year. 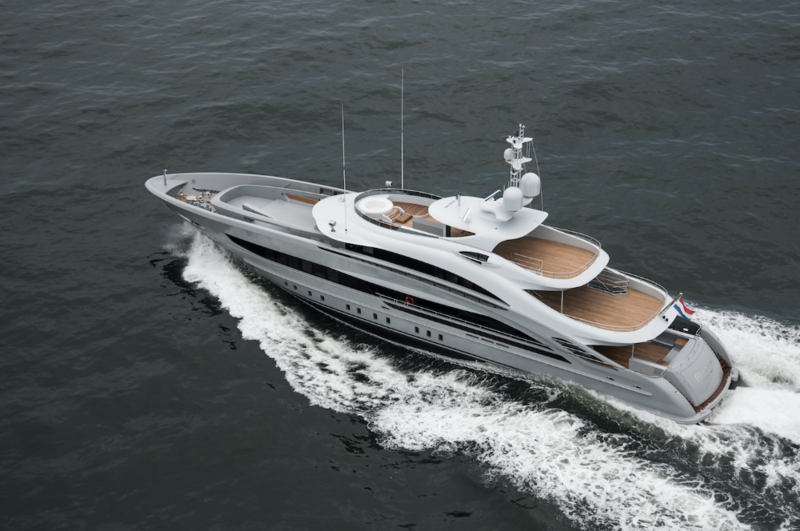 According to The Superyacht Intelligence Agency, Heesen now has 10 superyachts on its order book, which equate to 20 per cent of the Dutch order book. Omaha will soon leave the Netherlands for her maiden voyage to the Mediterranean, where her new owners will take delivery.